March 21, 2017 – – Ocala, Florida. Wells Pharmacy Network, a proud A4M Platinum Sponsor, will be hosting several educational opportunities for attending prescribers at the upcoming World Congress, in Hollywood Florida April 6-8, 2017. Presentations at the World Congress by Wells’ Anthony Campbell, Pharm.D., and a sterile compounding expert with over fifteen years of experience include an evening workshop entitled, Sermorelin and Peptides: Restoring Growth Hormones in Aging in-booth events including a lecture on Pellet Hormone Therapy and the opportunity to have medication questions answered one-on-one. 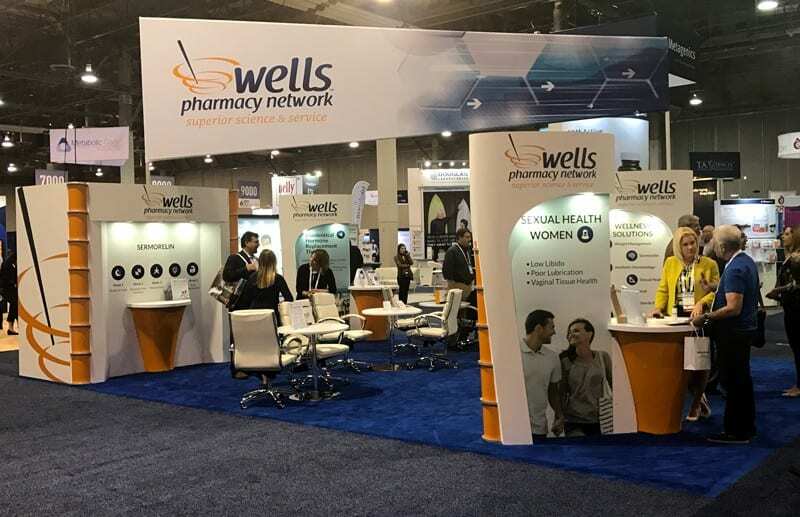 To learn more about Wells Pharmacy Network visit us at the A4M World Congress, Booth #407, at www.wellsrx.com or email us at info@wellsrx.com. Wells Pharmacy Network is one of the nation’s leading privately held nationwide 503A compounding pharmacy specializing in wellness, anti-aging, weight management, urology, sexual wellness, thyroid and adrenal support and aesthetic dermatology medications. Wells also has a division offering veterinary compounding solutions. Wells Pharmacy is dedicated to elevating compounding industry standards through a unique combination of superior science and service with medication safety as the number one priority. Pharmacy locations include pharmacies in Ocala, Florida and Dyersburg, Tennessee and a corporate office in Wellington, Florida. For more information visit our website at http://www.wellsrx.com. For more information about the upcoming A4M World Congress visit https://www.a4mwc.com .